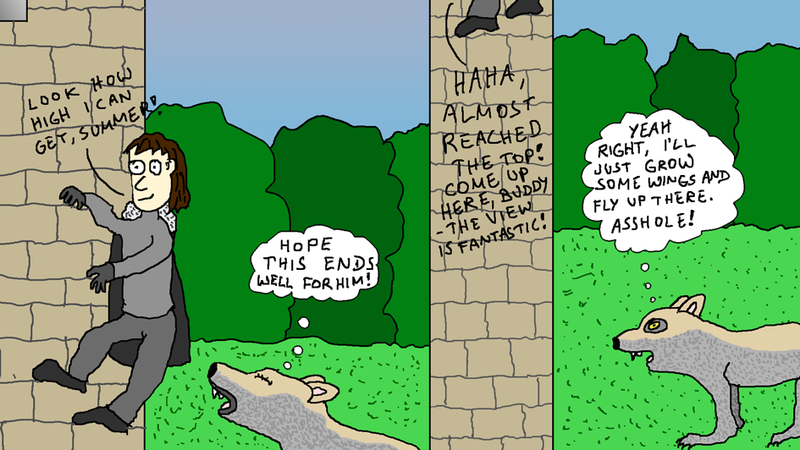 Here, we meet Bran Stark, the second oldest son of Lord Eddard, along with his wolf Summer. While Bran enjoys climbing a great deal, Summer can't really relate. Don't worry, Summer. He'll come down soon enough.